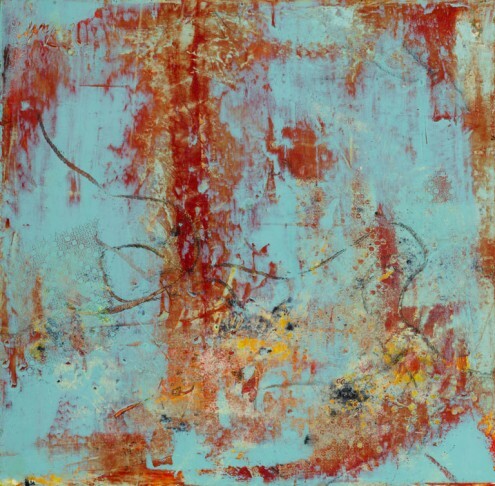 Oct. 24, 2012 - PRLog -- NASHVILLE, TENN. – Noted abstraction fine artist Cindy Walton of Asheville, N.C., will show her selected work at Artclectic 2012, one of the pre-eminent juried art shows in the southeastern United States. The painting, Opus #97, is a color-driven work in Walton’s signature style, compared favorably to mid-20th century Colorist Hans Hoffman in a recent exhibit at Asheville Museum of Art. Walton creates elegantly, subtle palettes layered to create intricate jewel-like canvas treasures in the cold wax medium. Her versatility in medium and mood captured the attention of regional art enthusiasts with her introduction of the cold wax medium - consisting of a beeswax paste mixed with oil paints for a matte, layered texture - into her repertoire in 2010. The result has generated a furor of interest among discerning collectors and experts. Opus #97 comprises a stand-out work in the medium. With her growing reputation as a significant artist to watch, and an awe-inspiring mastery of technique and style, the demand for Walton’s works has increased, and her workshops for professional artists have sold out repeatedly. Recently accepted to the juried National Association of Women Artists, Walton enjoys emerging prestige as an artist with increasing significance in the national arena. For Walton, being an artist isn’t something she does, it’s who she is: bright, decisive, present, emotive, evocative, intelligent and saturated with complexity. For more information on Cindy Walton, visit http://www.cindywalton.com (http://www.cindywalton.com/). Now in its 16th year, Artclectic’s juried show features work by more than 50 artists in 12 unique specialties, from fiber arts and furniture making, jewelry and sculpting, to ceramics, multimedia and painting. From Oct. 25-28, thousands of loyal patrons and newcomers to the cosmopolitan art world will view hundreds of works ranging in price from $20 to more than $5,000. Beginning as a K-12 school fundraiser, Artclectic’s continued careful selection of talented emerging and established artists like Walton results in its status as a nationally respected event. Proceeds from Artclectic support the University School of Nashville, an independent K-12 institution. The Patrons Party and silent auction precedes the event on Thursday, Oct. 25, at 6 p.m. Tickets are $125; call (615)277-7460. The opening night party for the Artclectic community is Friday, Oct. 26. Admission is $10 and a cash bar will be provided. Over the weekend, visitors to the gallery will meet the artists in residence and create original art from 11 a.m. to 7 p.m. Saturday and 11 a.m.to 3 p.m. Sunday. Admission to the daytime events is free. For more information about Artclectic, go to http://www.artclectic.org.